One of the most interesting things that came up in our interview with Dylan Cole was the difference between concept art and production design. As we explained in this post, the production designer basically bridges the worlds of concept art and movie production. Or, to put it another way, they take charge of translating the artist’s vision into an actual movie set. However, what about a film like Avatar, where the entire world is made of computer graphics? Surely, once you reach a certain level of pixelated detail, the art is the set… isn’t it? It’s certainly true that almost everything in a movie like Avatar is, barring actors, created in CG. But a virtual set is so much MORE than just a big painting. Dylan is perhaps the perfect person to explain this. Earlier in his career he worked as a matte painter and concept artist, on movies like The Lord of the Rings: The Return of the King. 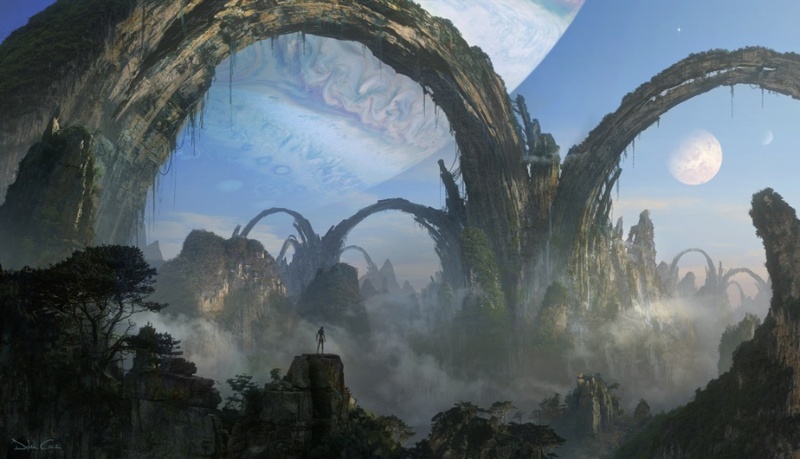 He then transitioned to production designer, winning a Directors Guild of America Award for his work on Avatar. Dylan adds another difference between a painting and a virtual set… You can cheat with paintings. You can cheat lighting, you can cheat perspective… you can cheat lots of things, in fact. But most of these cheats will be exposed when they start to be incorporated into an actual movie set. And that’s especially the case when things start to move from 2D to the full 3D of a virtual movie set. That might all sound intimidating, and a lot of hard work. But alternatively it could - and I believe should - sound liberating, and an amazing opportunity. While working as a concept artist or matte painter means you have an influence on the finished product... Production Design means you move into a far higher realm of creative possibility. The chance not just to influence, but to a large extent determine the final look and feel of a movie, is the jewel in the crown of this exciting potential career path... and what could be a more fitting end goal for your creative abilities?